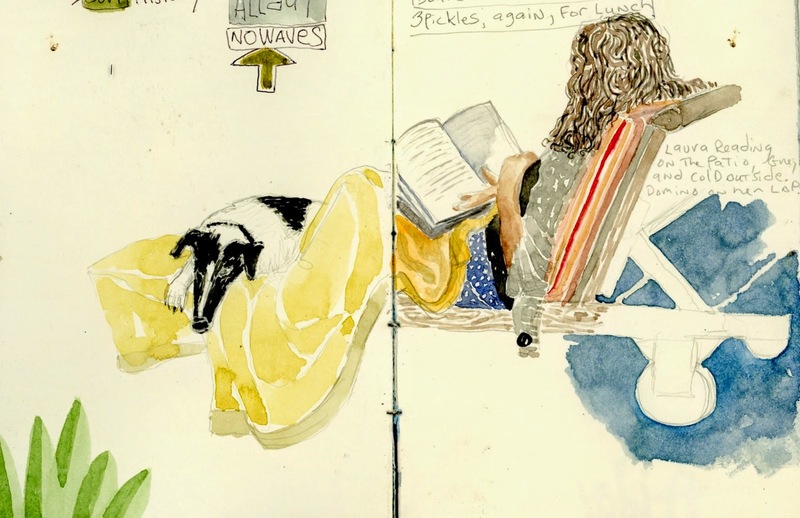 I was reading "To The Lighthouse" today, and thinking about how Virginia Woolf writes about the way what our mind is occupied with imprints on our surroundings, and those surroundings then become reminders of the original thought. 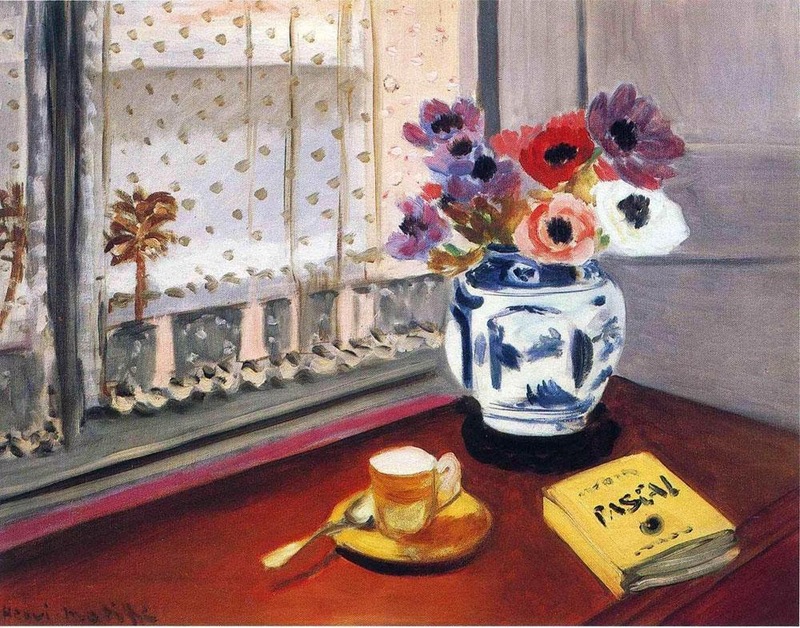 The room you're in, the buzz of sound, the objects and the distant view become part of the story. 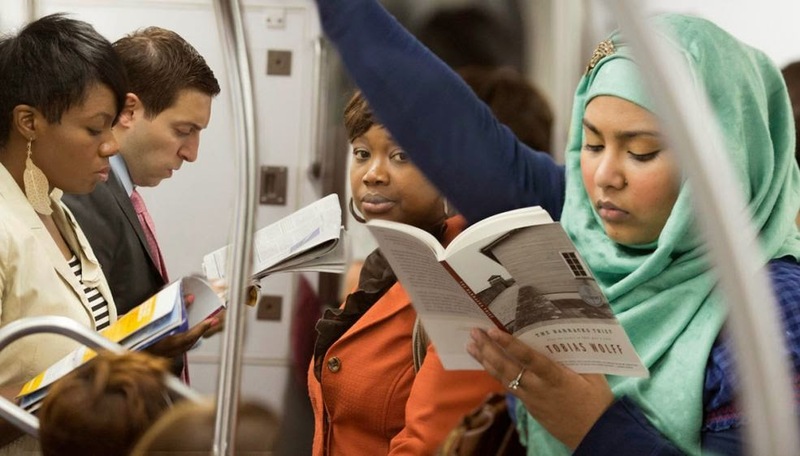 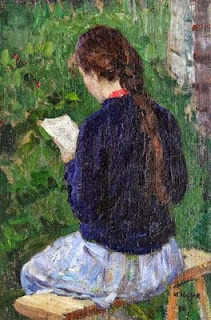 The act of reading ties in the moment and place you exist in with an entire other moment and place. 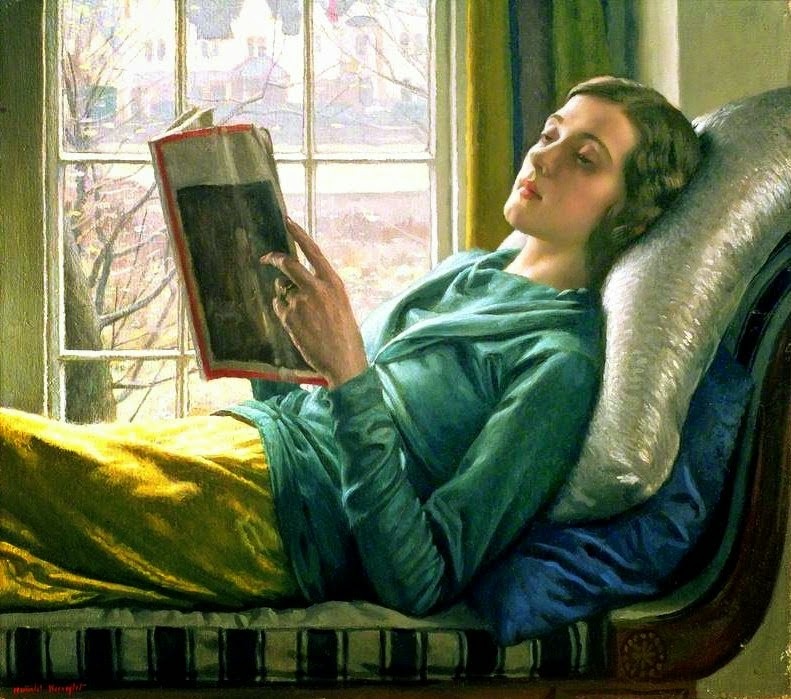 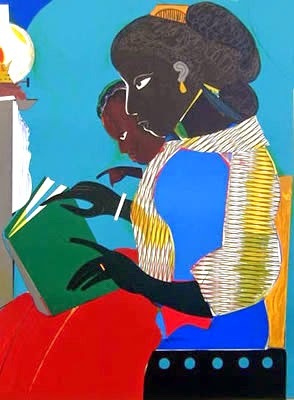 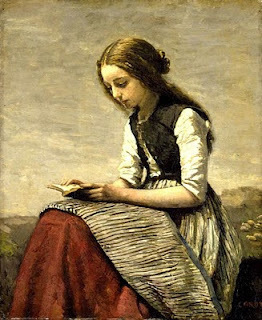 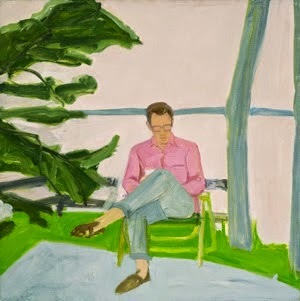 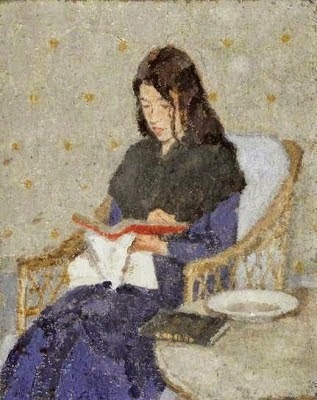 The experience of reading can be deepened by reading in the right chair, looking up to an expansive view, connecting it to other senses that enmesh with the word on the page. 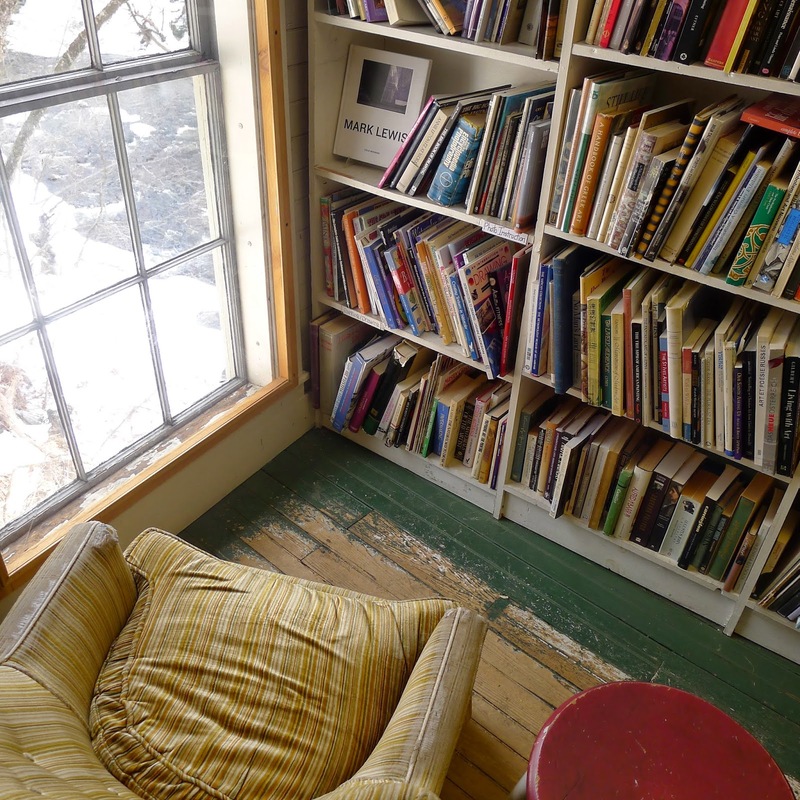 Above and below: The Montague Bookmill...its windows look over a stream which was the source of power in the original mill. 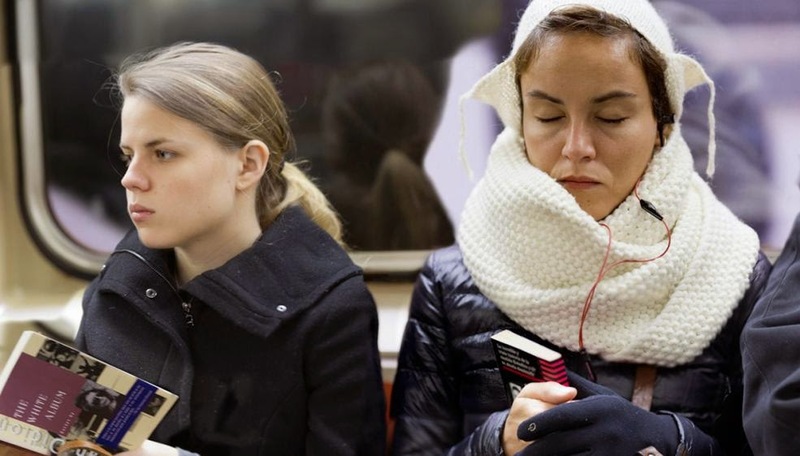 Above it's spring, below it's winter. 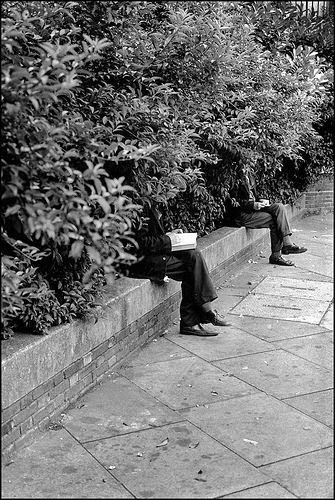 I've mostly focused on images that have a sense of place. Above: Aleksandr Aleksandrovich Deineka (1899-1969) Young Woman with Book, 1934. 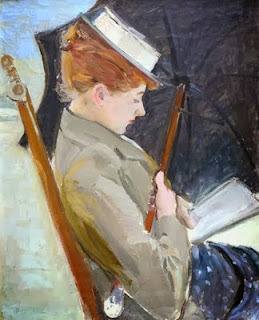 Collection Russian State Museum, St. Petersburg. In the 1930s Deinika painted a series of portraits of women, showing them as embodying a new independence and self -determination. This portrait is included in the Merrell Book "Reading Women". 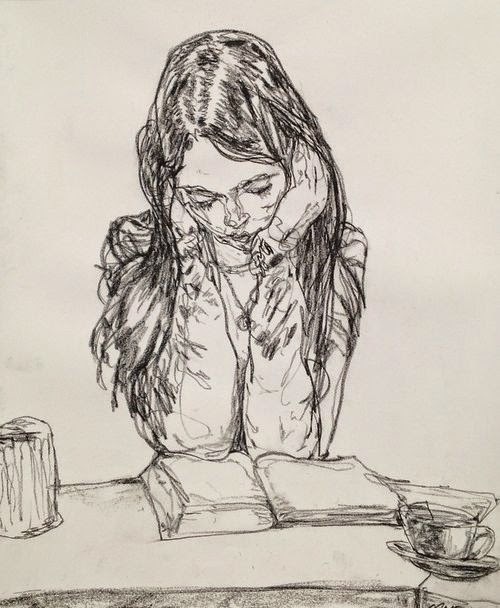 It looks as though she's reading in a coffee shop...a favorite place to read. 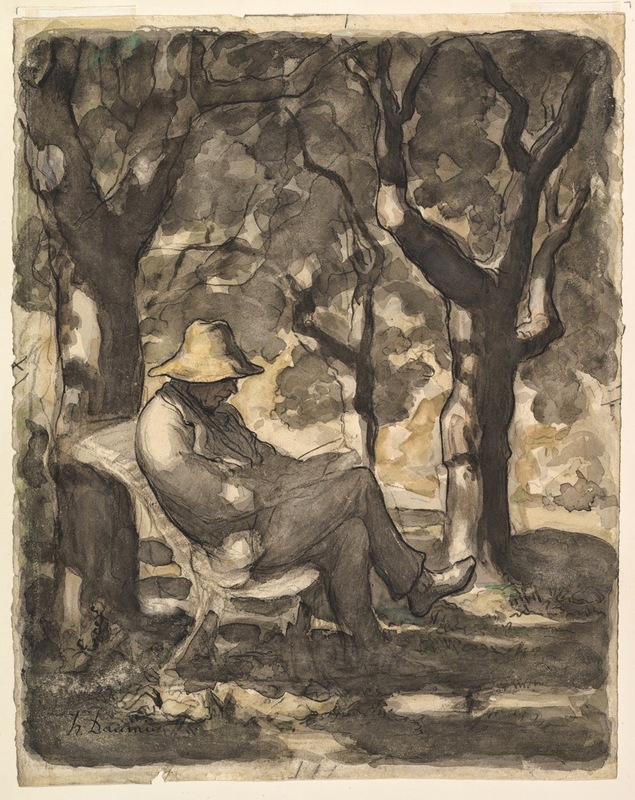 Above: Giovanni Giacometti (1868-1933) Alberto Reading, 1915. 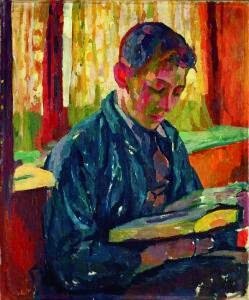 Giovanni Giacometti painted this of his son Alberto Giacometti. 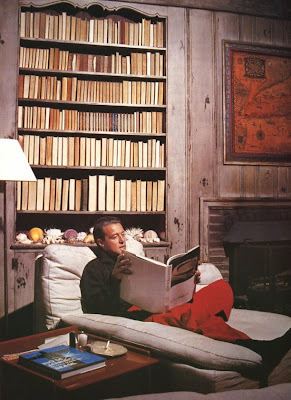 You can feel the sun coming in over his shoulders, and the warmth of the red room. 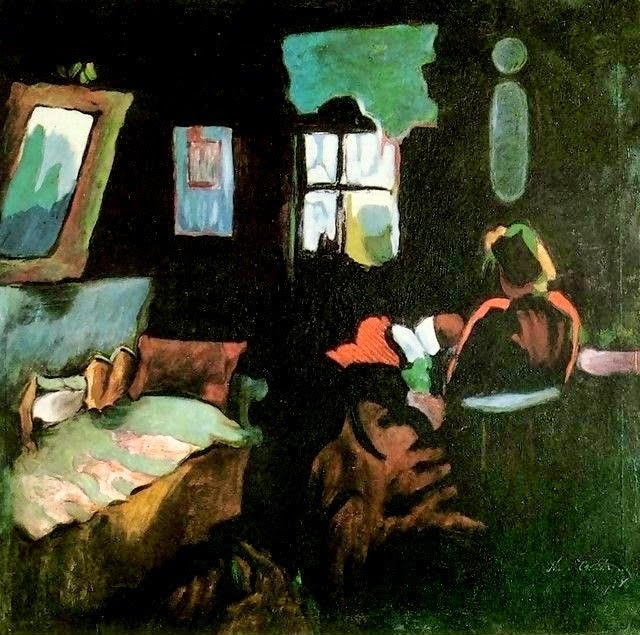 Above: Robert Bereny (1887-1953), Eta is Reading, 1928. 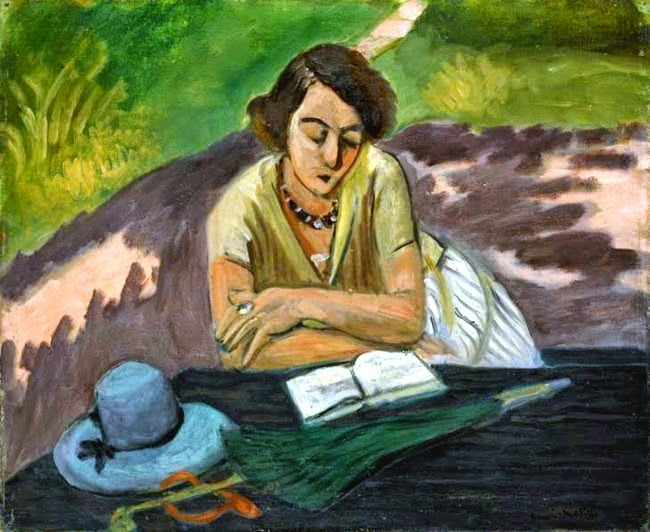 Bereny was one of a group called The Eight, Hungarian painters who were influenced by Cezanne, Matisse, and the fauvist group. 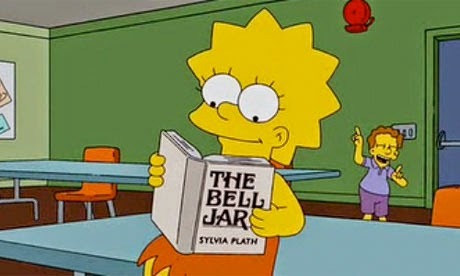 Above: Lisa Simpson reads the Bell Jar. She is so well read she has her own book club. 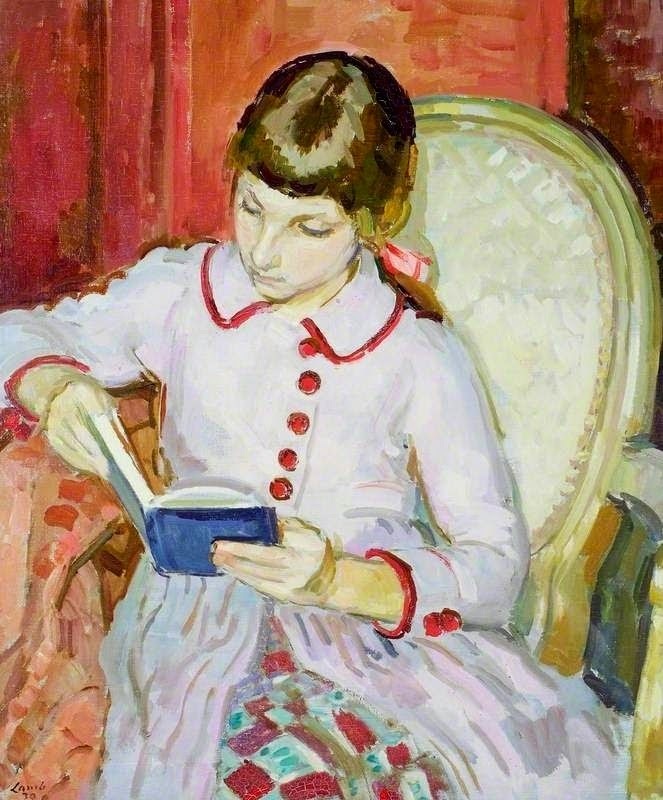 Here's a link to the books she's been shown reading. 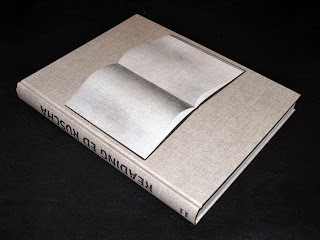 And there's an artist's book about all the books that have been included in the show. 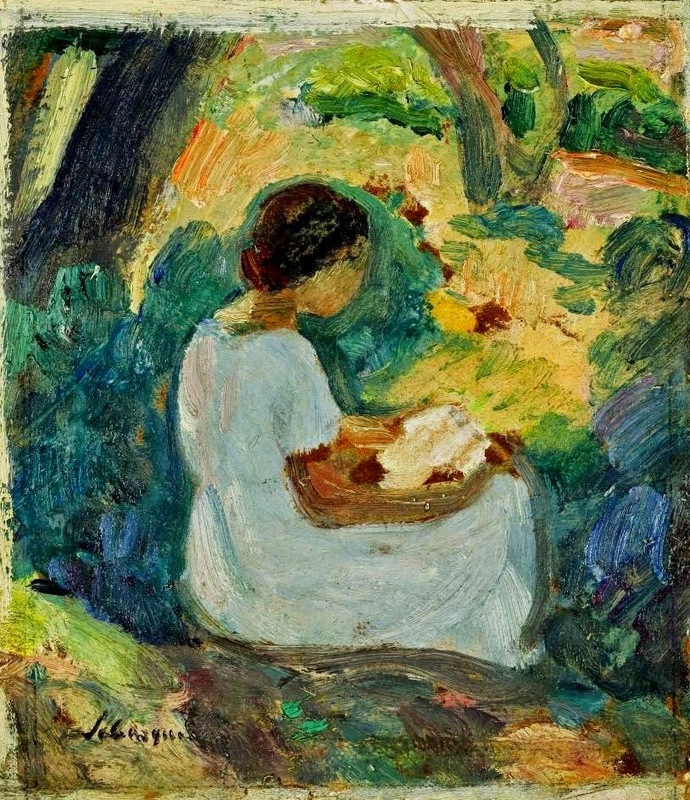 Above: John Duncan Fergusson (1874-1961), Lamplight, 1900. 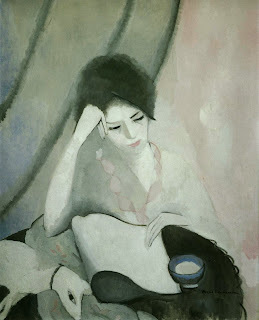 Fergusson was an important Scottish Colourist. 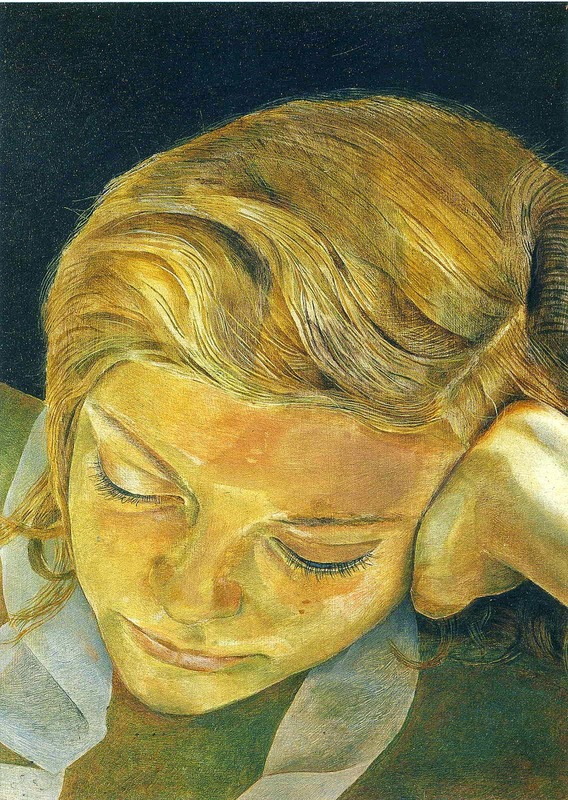 Above: Lucien Freud (1922-2011), Girl Reading, 1952. The subject of the painting is Lucien Freud's wife, Guinness heiress Lady Caroline Blackwood. 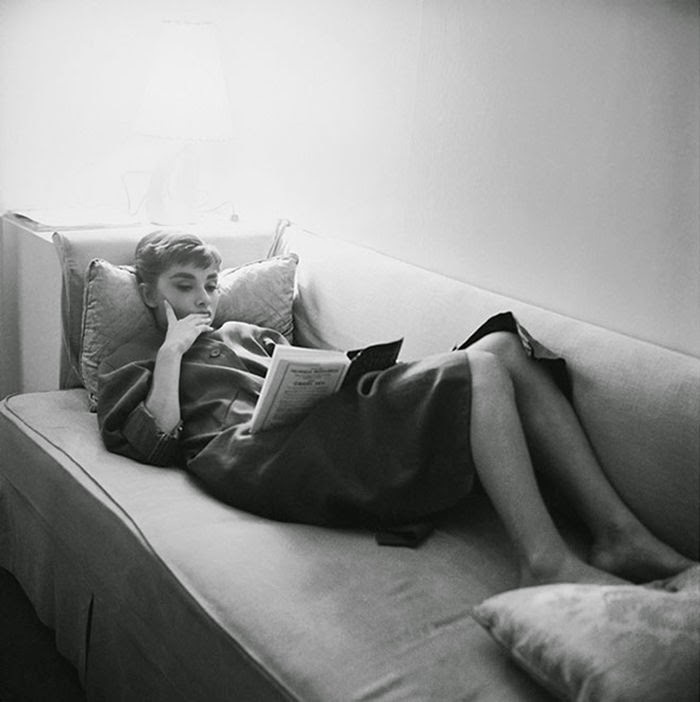 Considered the most beautiful debutante of the 1949 season, she left the world she'd been born into, and at 21 ran off to Paris with the married painter Lucien Freud, Sigmund Freud's grandson. You can read her story here. Above: The E.M. Forster book Room with a View. 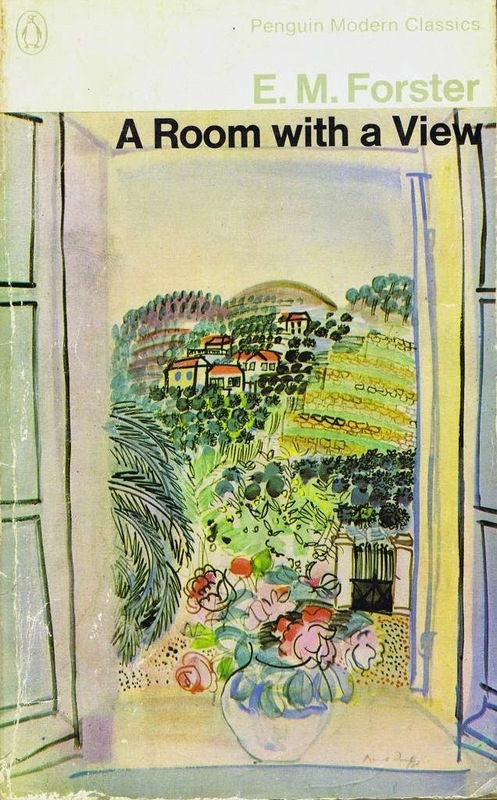 The book cover by Raoul Dufy (1877-1953) captures the sense of the title, as well as an ideal location for reading it. 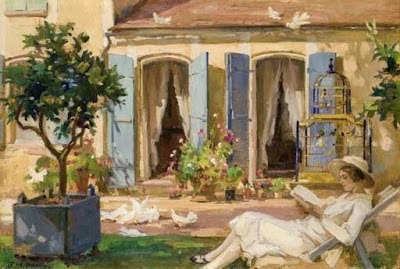 In fact it's a French scene, Open Window at Saint-Jeannet, 1926-1927, but it's a compelling cover image all the same, though the book is set in Florence. 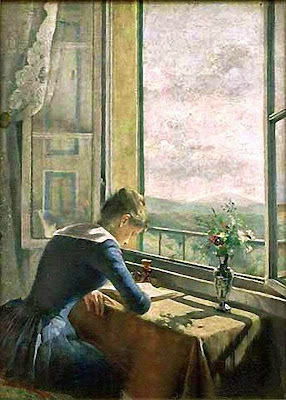 Above: Asta Norregaard (1853-1933), Reading by the Window, 1889. 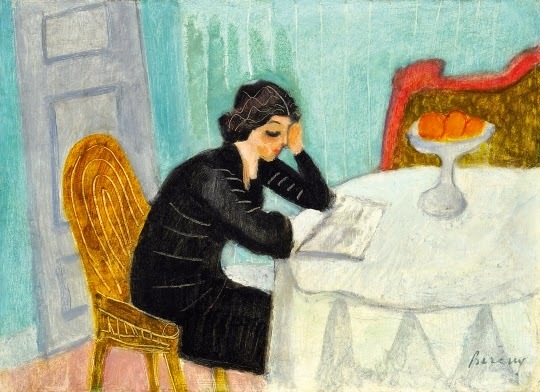 Norregaard was a Norwegian painter who studied in Munich, Oslo, and Paris. It seems as though she's sitting in front of the Dufy window from the book cover above. 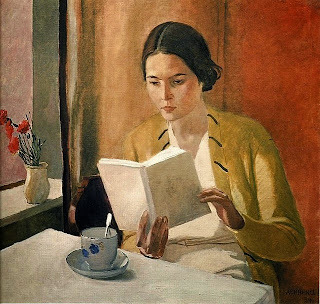 Above: Isaac Grunewald (1889-1946) Lektyr. 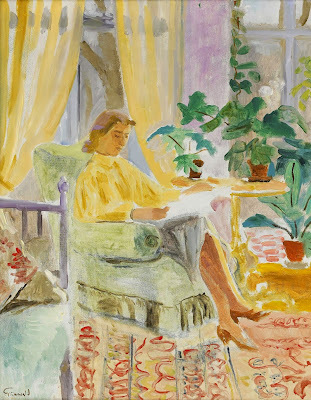 The details in this room...the yellow striped curtains, the array of plants, the Persian carpet, the velvet armchair with it's bullion fringe, all convey a comfortable and cultured home. Above: Odon Marffy (1878-1959), Reading Woman, 1920. 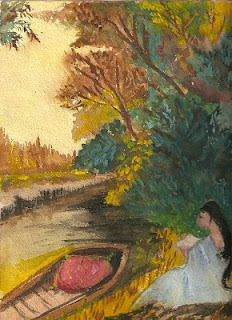 Marffy was another member of the Hungarian group, The Eight. 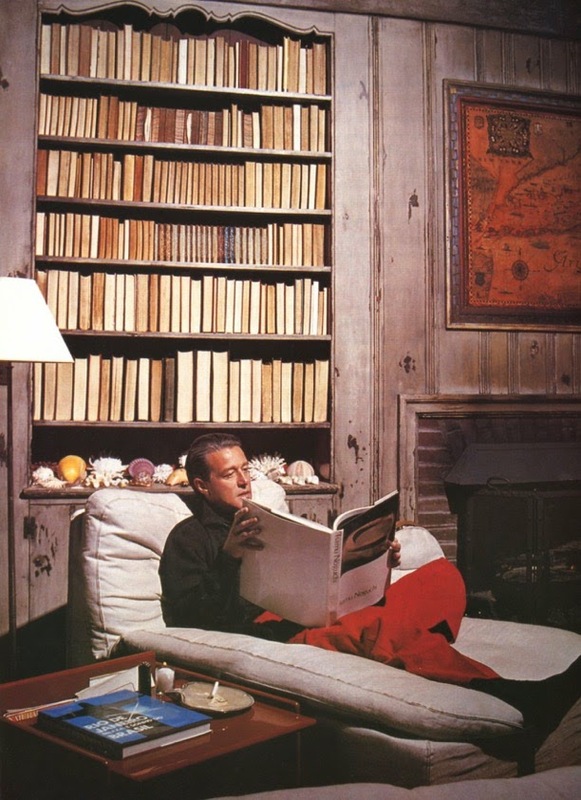 Above: Halston at Andy Warhol's Montauk house. 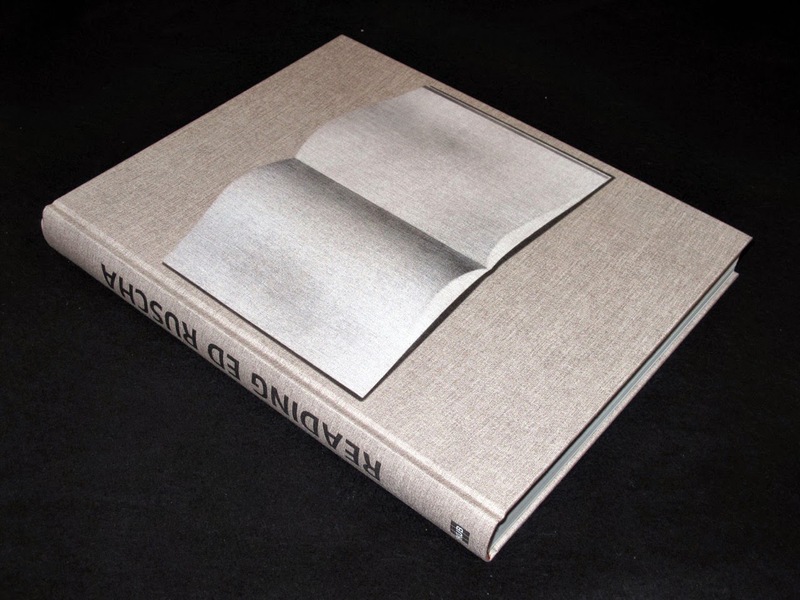 All the books are turned backwards. 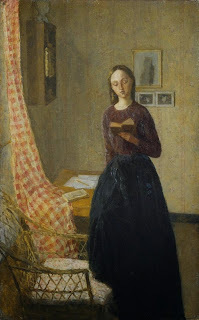 Above: Gwen John (1876-1939), A Lady Reading 1909-1911. The interior is Gwen John's own room in Paris. Above: Gwen John, The Seated Woman. Above: Ed Ruscha's book, which focuses on his interests in books, writing, and words. 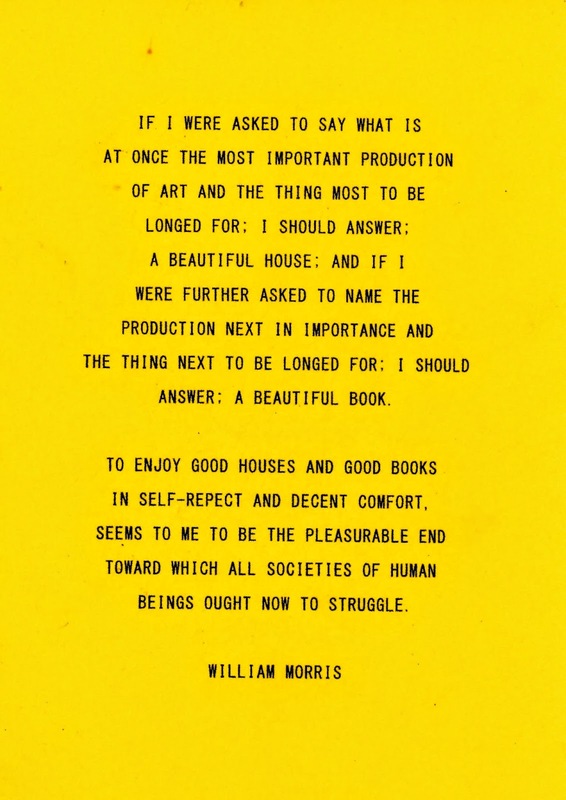 Words are the theme of many of his paintings, but in addition he's created many artist books that are integral to his work, such as "Every Building on Sunset Strip". 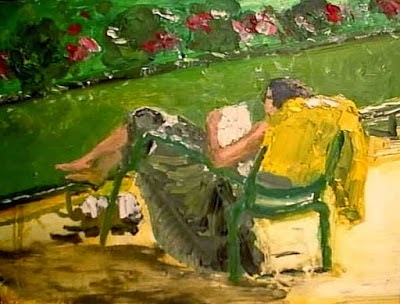 He created his first word paintings in Paris in 1961. 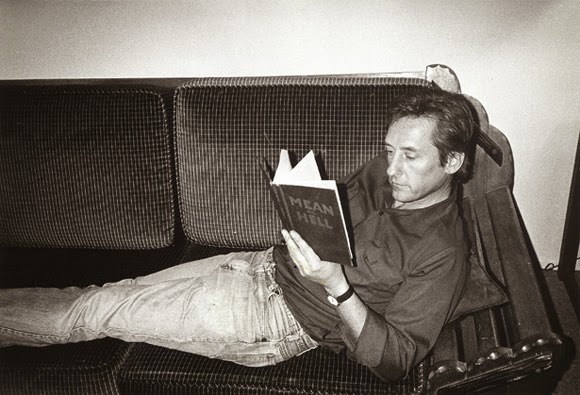 Above: Ed Ruscha reading a book titled Mean as Hell. Whether this is a book he made or the biography of a New Mexico lawman, Dee Harkey, is unclear, but he went on to make a painting with the same title. 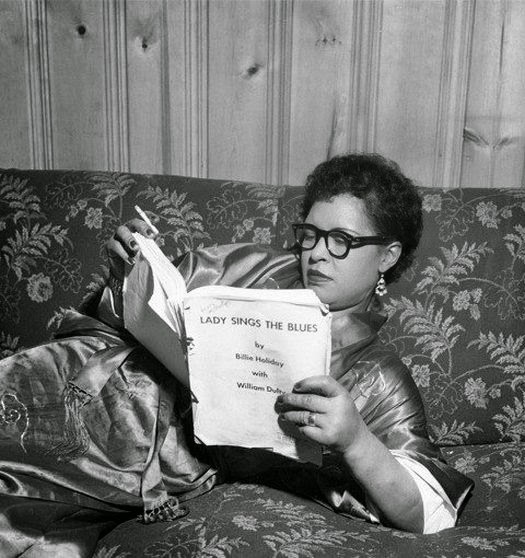 Above: Billy Holiday reading a galley copy for Lady Sings the Blues. 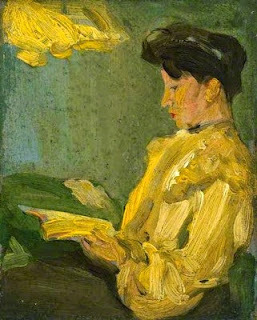 Above: Nicolae Grant (1868-1950), Lecture in Interior. 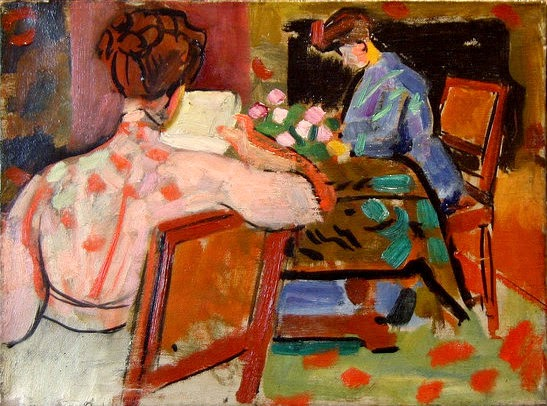 Above: Vanessa Bell (1879-1961), Anne Olivier Bell, 1952. Vanessa Bell was a central member of the Bloomsbury Group in London. 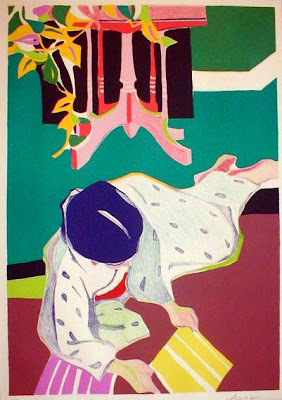 She was a painter, textile designer, ceramic designer, and graphic designer. 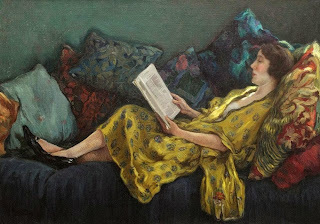 She is also well known for being the sister of Virginia Woolf. The new book, Vanessa and Her Sister, by Priya Parmar focuses on their relationship. 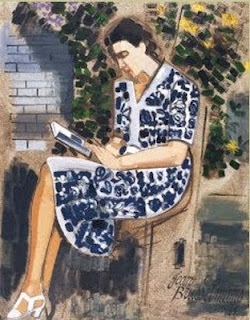 Anne Olivier Bell was married in 1952 to Vanessa's son Quentin. At 98, Olivier is the only one of that generation still alive. 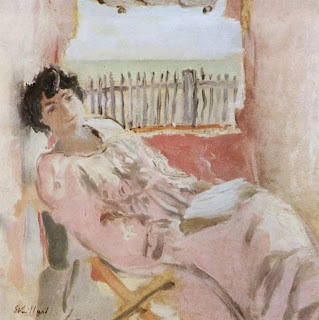 She is the archivist, the editor of Virginia Woolf's diaries, and the one who keeps Vanessa's Sussex home, Charleston, in good repair and open to the public...some 25,000 visitors a year. 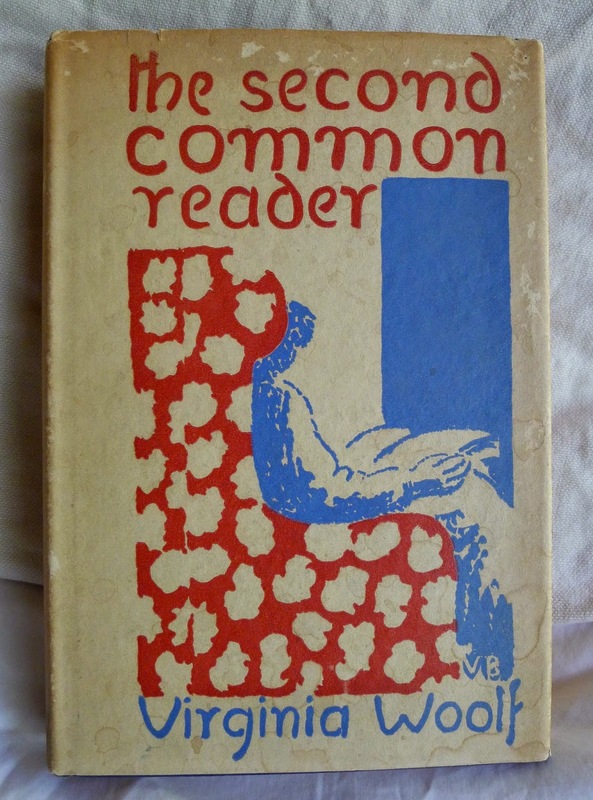 Below: Vanessa Bell designed this book cover for Virginia Woolf's book of essays, The Second Common Reader. She designed many covers for Woolf's work, which were published by Hogarth Press, owned and run by Leonard Woolf, Virginia's husband. 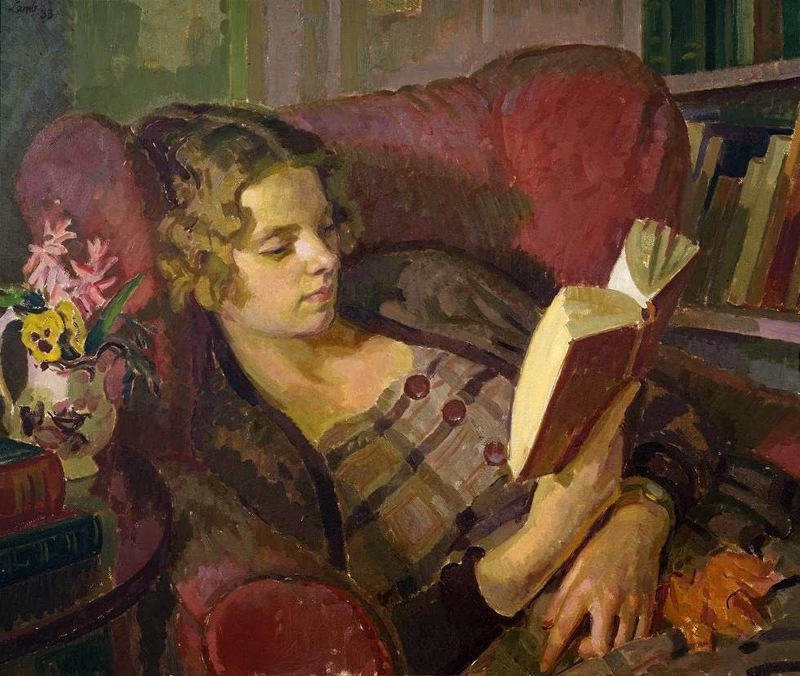 This one is particularly suited to this post as its subject is a woman reading in a comfortable wing chair. 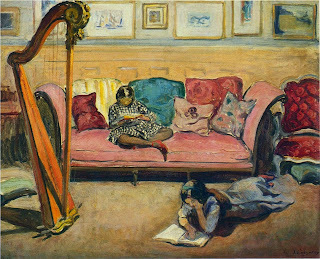 Above: Henri Lebasque (1865-1937), Interior with Harp. The collection of pillows on the pink sofa of various colors and sizes, as well as the collection of small paintings on the wall make the room feel full of life and informal. 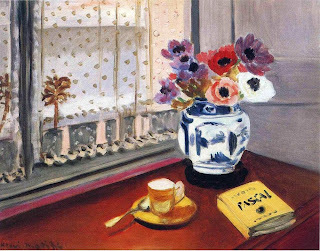 Above: Henri Matisse (1869-1954), Still Life with Pascal's Pensees, 1924. 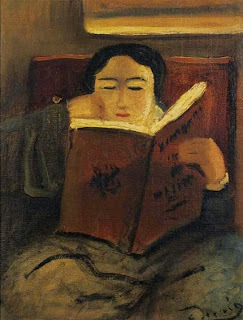 Matisse included this book by Pascal, a17th century writer, mathematician, physicist,and philosopher, as he was admired by Picasso, Apollinaire, Matisse, and others of their time. 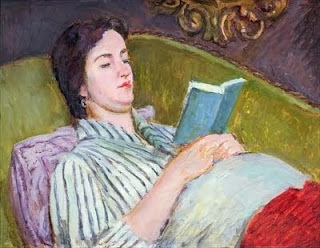 The colors in this painting are a variation of the colors in the Henry Lamb painting above, in different proportions. 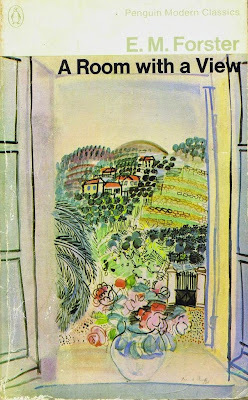 I love the way the dotted swiss fabric of the curtain is shown here. 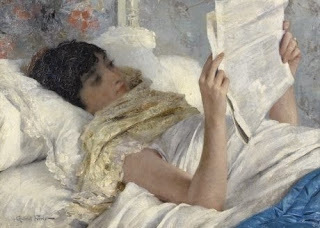 Above: Gabriel Ferrier (1847-1914), Woman Reading in Bed. 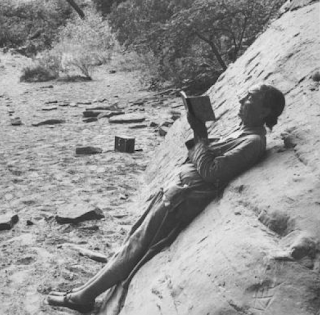 Above: Theodore Miller (1872-1971), Lee Miller and Tanja Ramm. 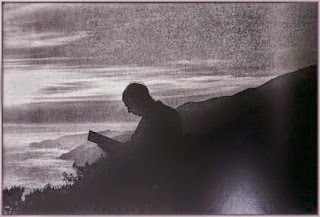 This photo was taken by Lee Miller's father. 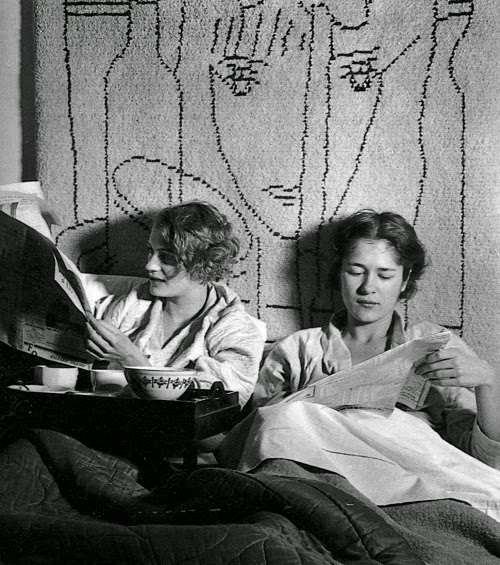 Taken at Lee Miller's Paris studio, she was having breakfast in bed with her best friend from home, Poughkeepsie, NY. A wall hanging by Jean Cocteau is seen behind them. Lee Miller is best known for her war time photography, and for her relationship with Man Ray. She was also a fashion and portrait photographer. 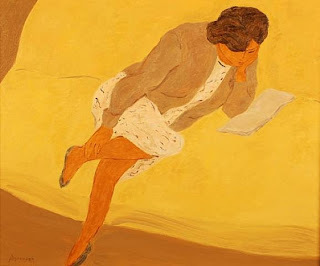 An article from the Guardian about her vibrant life is here. 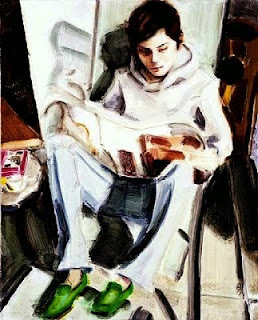 Below (all three): Reinier Gerritsen (b. 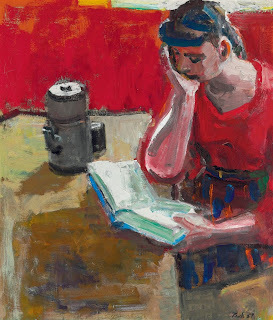 1950), from his show at Julie Saul Gallery, The Last Book. 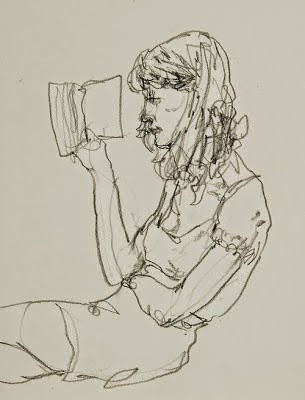 Above: My much loved and much read copy of Pride and Prejudice. 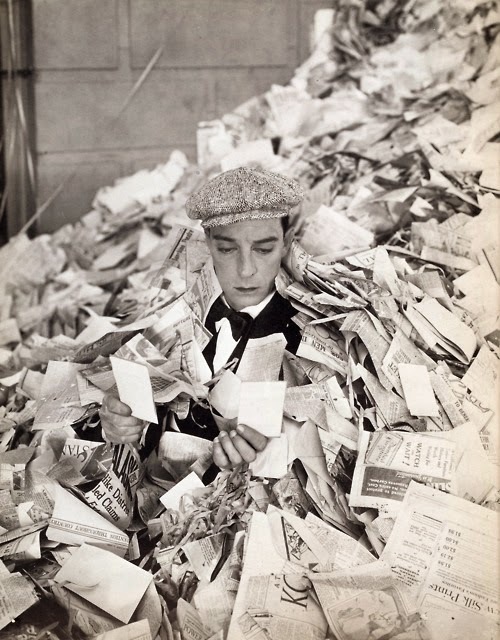 Above: Buster Keaton with his New Years Resolutions. 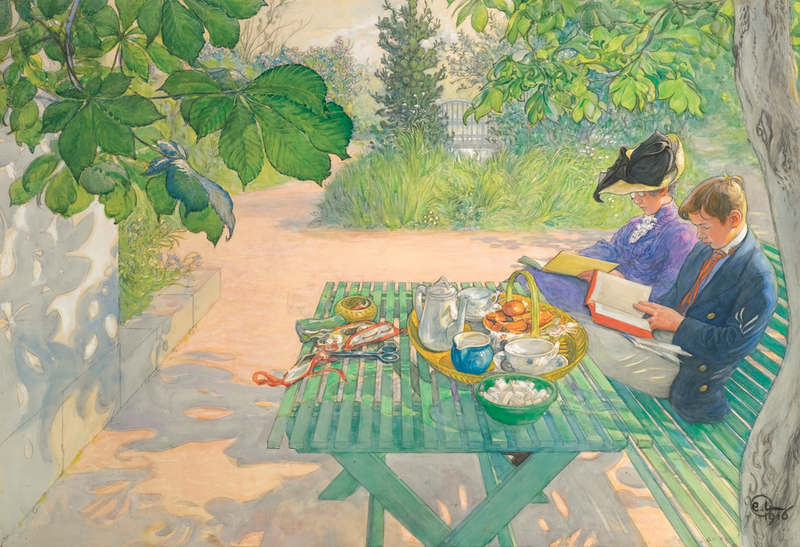 Above: Carl Larsson (1853-1919), Holiday Reading, 1916. 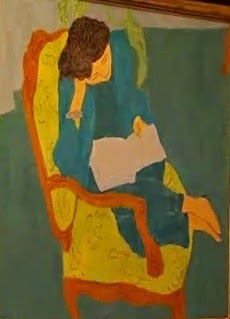 This is a scene of Larsson's wife Karin reading alongside their son Esbjorn on a Sunday afternoon. 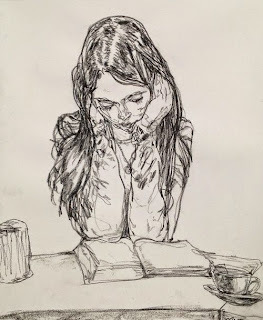 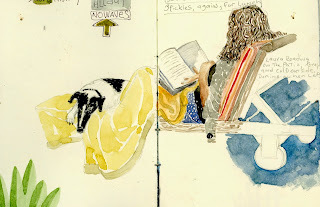 Above: From my husband's sketchbook, me reading, with our dog Domino at my feet, August 2013. 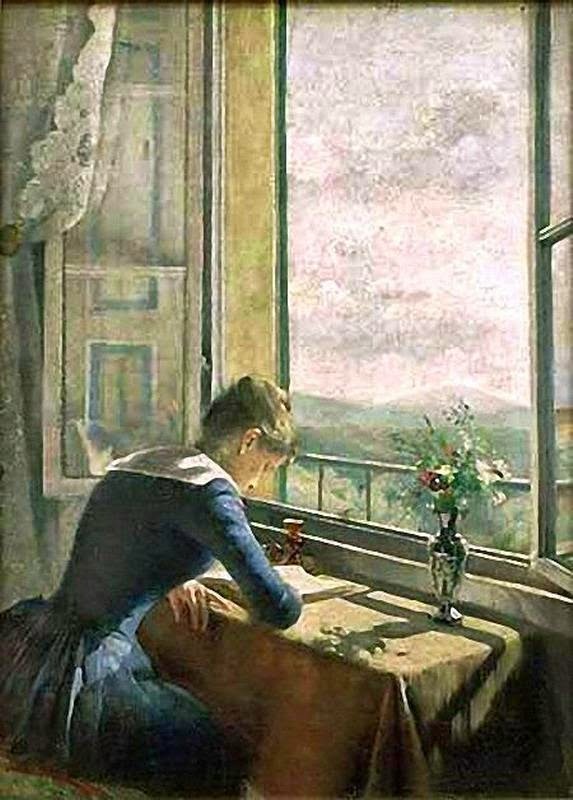 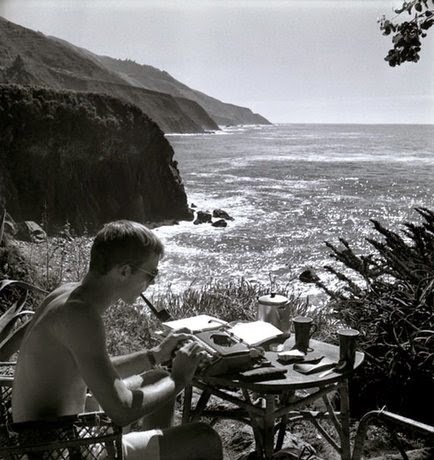 If I raise my eyes from my book I can see the ocean. 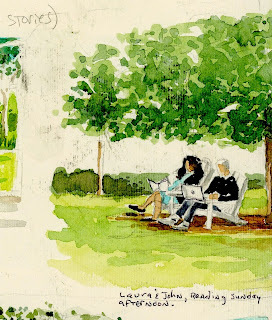 Above: Another from my husband's sketchbook, my dad and I reading under a tree, September 2014. 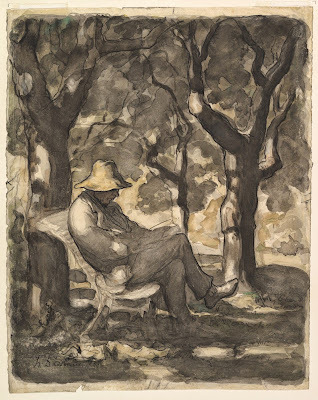 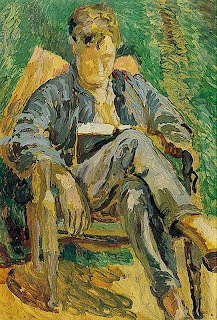 Above: Duncan Grant (1885-1978), Julian Bell Reading, 1930. 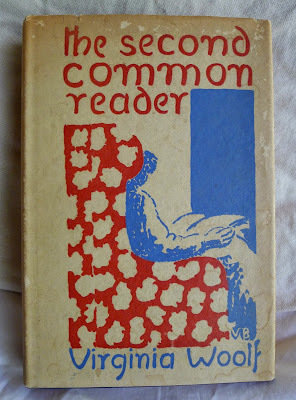 Julian Bell was Vanessa Bell's son. 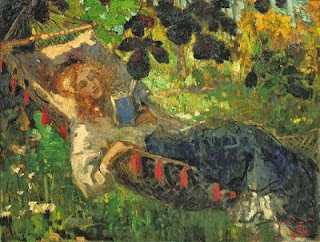 Above: Robert Archibald Graafland (1875-1940), A Girl Reading in a Hammock, 1910. There's a real sense of dappled light in this painting. 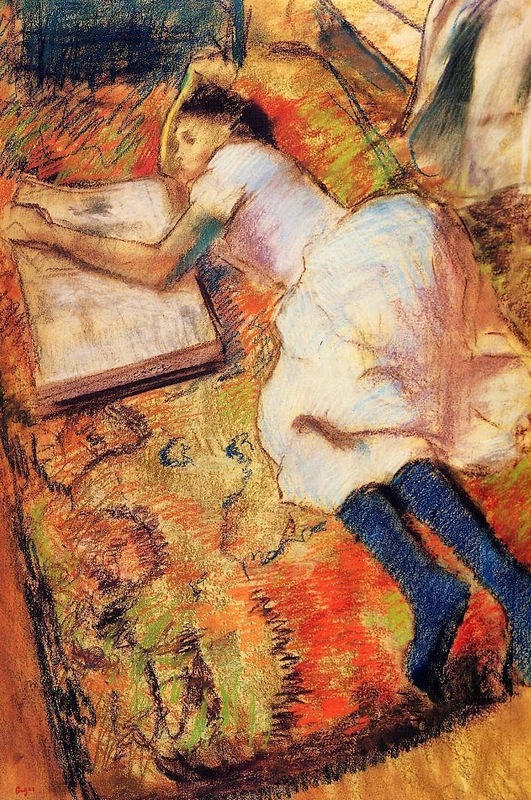 Above: Jean-Edouard Vuillard (1868-1940), Woman Reading, 1909. 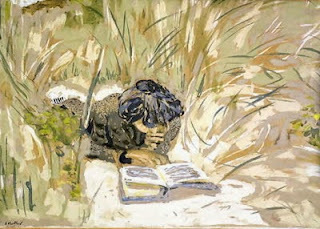 Here you can imagine how it feels to be lying on the ground, almost hidden by the grasses, feeling the warmth of the earth. 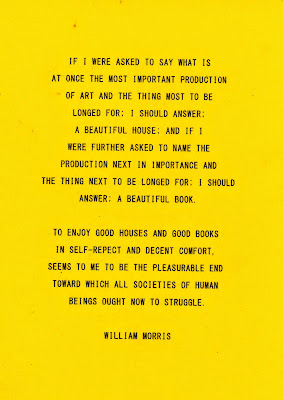 Below: At the Berkeley Museum of Art show "The Possible", this flyer was given out. 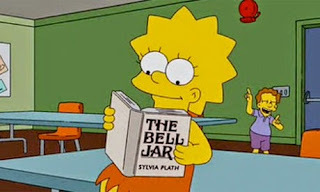 My daughter brought it back for me.